This page, the top section of which carries details of several surviving portables in the UK and Overseas except Australia. 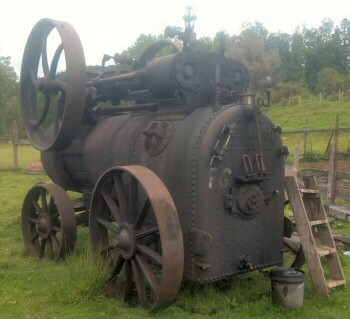 Surviving Paxman Portable Steam Engines in Australia with details of several engines which have survived on that continent. Because of its largely hot dry climate, more Paxman portables have survived in Australia than anywhere else. Listing of Known Surviving Paxman Portable Steam Engines. 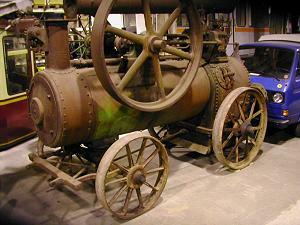 Probably the most comprehensive list available anywhere of known surviving Paxman steam portable and traction engines. Peter Love's Steam Portable - No 21693 about the history and restoration of Peter Love's Paxman portable. On the Paxman Steam Engineering page there is a brief history of the Company's portables. Paxman Portable Steam Engines, &c. Text and illustrations reproduced from Paxman publication No 700A, dated December 1913, giving details of the Company's range of portable steam engines. Types described are single and double cylinder, log-burning, straw-burning, semi-portable and compound. Instruction Book for the Working and Management of Portable Engines, & c. The full text of Paxman publication No 682, dated August 1913, with accompanying illustrations. The information is likely to be particularly useful to those responsible for the restoration, maintenance and operation of Paxman portables in preservation. Wearing Parts for Portable Engines. The descriptions of wearing parts for Paxman portable steam engines as listed in Paxman publication number 683, dated September 1913. There is also an illustration of each part as shown in the original publication. The illustrations are not engineering drawings but a picture of a part and its description may assist if, for example, help is required with the shape of a missing component. Power Outputs and Dimensions - can be found on the page Paxman Portable Steam Engines, &c.
Working Pressures - see lower part of this page. Boiler Drawings - see lower part of this page. Steam Spares/Supplies - see lower part of this page. Colour Scheming - see lower part of this page. No 11692 The oldest surviving Paxman portable known, this 8 NHP single cylinder semi-portable has a 10" bore and 12" stroke. It was ordered by the Grand Junction Canal Company on 1st December 1902 and despatched to Leighton Buzzard three weeks later on 23rd December. The engine is fitted with Paxman patent expansion valve gear. This engine was always said to be very economical when running. It is pictured here at the sale of the late Tom Paisley's collection when it appeared to have a brand new firebox fitted. Hardly any bids were taken for the engine by the auctioneers and it was sold after the sale to Randalls of Norwich, the present owners. The livery is mainly maroon, not a colour usually found on Paxman engines, but matching that of the lagging sheets and flywheel of the 3 NHP portable bought by Peter Love in January 2003. As can be seen from the photograph, the motion is mounted on a sub-frame on top of the boiler. No 12520 It seems very probably this is the portable about which Robert Holt, owner of Paxman traction engine No 19413, emailed me in March 2001. He mentioned one imported back to the UK from South Africa. Sadly the dock loaders had "decided to drop test the engine from a great height" with disastrous results. Mr Holt viewed the engine in 2000. It had serious damage to the crank, which was bent, the flywheel was broken in two, the big end support castings were twisted and smashed in addition to other damage to wheels and axle. In the words of our correspondent, what a crying shame that such a rare and beautiful engine should be treated in this way. Known to be at Banbury, Oxfordshire, in 2000, Robert Holt said the engine had disappeared from there by early September 2001 when he was trying to trace it. He thought restoration would be very costly because of the extent of the damage. The order book entry for No 12520 is a little ambiguous. The best guess is that the engine was ordered on 3rd March 1905 and allocated order number 7593. 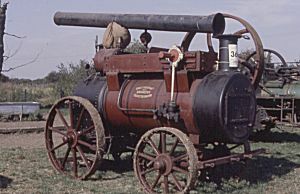 A 10 NHP single cylinder portable, 1904 type, with 11" bore and 14" stroke, the customer was G Dudley Bates of Crown Point, Norwich. It is believed the engine was later exported to Mozambique and used there on a sugar plantation before being brought back to the UK. No 12729 Made to Paxman Order No 7760 or 7761, entered in the order book on 7th October 1905, No 12729 is a 6 NHP single cylinder portable, 'New Type', 8¾" bore x 12" stroke. Part of an order for six portables, placed in October 1905 by M Gleisner & Co, Paxman's agent in Chile, this engine was despatched to Concepción on 12th December 1905. The other engines in the order comprised an identical single cylinder 6 NHP and four double cylinder (duplex, not compound) portables: a 10 NHP, two 12 NHPs and a 14 NHP. The 14 NHP engine, No 12734, has survived and is described in the next entry below. Gleisner & Co. was a Hamburg firm headed by Maurice Gleisner. In 1904 it was appointed sole agent for Paxman in Chile where Gleisner had offices in Concepción, Valparaiso, Santiago, Talcahuano and Talca. A very large number of portables was sold to Chile in 1906 and Gleisner became the agency which placed the most overseas orders with Paxman in a single year. The good times were not to last as Chile was subsequently hit by an earthquake and severe recession. Found in Chile in 2007, No 12729 was purchased by Michele and David Goddard who brought it back to England in December 2007 and reported it to be in excellent condition. In summer 2008 it was bought by Simon Caudwell of Cullompton, Devon. Other than No 11692 described above, No 12729 is the oldest Paxman portable in good order. The engine has some interesting features: - she has a Davey Paxman patent governor; in place of the usual circular 'Davey Paxman' maker's plate on the smokebox door is an identically sized plate bearing the agent's name; the engine number is not only on the bronze plate on the backhead but is also stamped on the agent's plate on the smokebox door; the number also appears in the usual place on the end of the crankshaft and is stamped on the gauge frame and pressure gauge fittings on the backhead. A '6 H' is stamped on the top of the backhead in the centre which one assumes relates to the engine's 6 hp rating. 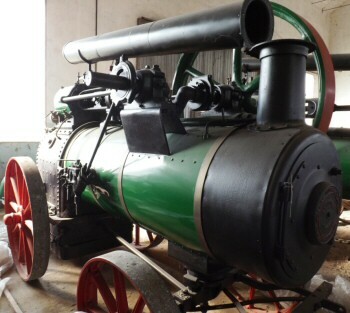 No 12729 was sold at an auction held near Cullompton, Devon, on Saturday 13th April 2013, for a hammer price of £8,900. Prior to sale, the auctioneer's website stated: 'This complete and original portable will be sold in test with new tubes, new smoke box and front ring and at 80 psi. It is fitted with reversing eccentric and Paxman's own governors. The inspector has remarked that whilst the box appears to be in good order the z ring will in due course require attention. The smoke box door carries the original agent’s plate "Mauricio Gleisner Y C.A Concepcion Santiago"'. No 12729 was purchased by Will Dakin of Sandbach, Cheshire, who already owns another Paxman portable, No 15584, and Paxman traction engine No 16849, both of which he has restored to a very high standard. This augurs well for the future of No 12729. No 12734 Made to Paxman Order No 7765, entered in the order book on 10th October 1905, No 12734 is a 14 NHP double cylinder ('duplex', not compound) portable, 9¼" bore x 14" stroke. Part of an order for six portables (including the one described above), placed in October 1905 by Maurico Gleisner & Co, Paxman's agent in Chile, this engine was despatched to Concepción on 8th March 1906. Information about No 12734 was received in March 2018 from its owner, Guillermo Rojas in Chile. This large and impressive engine appears to be in remarkably good condition for its age. No 12982 Another of the older surviving Paxman portables, having been built in 1906, No 12982 arrived back in the UK from Chile in August 2003. Although not shown in the photograph the crankshaft is with the engine. As at January 2004, prior to any restoration work, the engine was somewhat worn particularly the bearings, crankshaft journals, and big end. Hardly surprising after nearly 100 years! The smokebox, chimney base, and at least one tubeplate needed replacing. If anyone knows of a suitable spare chimney base please contact the website and we will pass on details to Roger Luck who owns the engine. The flywheel is not thought to be original, being of 5' diameter rather than the usual 4' 6". Roger wonders if the original was smashed in the same incident which resulted in the rear axle being broken. The piston and cylinder bore are in good condition, as are the valve chest and the slide valve. Quite unusually most or all of the brass on this engine has survived in tact. Very wisely this has been removed for safe keeping. Sadly most of the brass originally on other surviving portables has been lost to trophy hunters who have no appreciation of the history lost by their thefts and vandalism. Because of existing commitments restoration work on No 12982 is not scheduled to commence until early 2005. Roger initially thought his portable might be a 6 hp machine as that was stamped on the mud hole door and the top outer wrapper of the firebox. A look at the old Paxman order book confirmed his opinion. The engine was one of five portables ordered (Order Nos 7968 to 7972 inclusive) on 2nd May 1906 by Gleisner & Co. Orders 7968 and 7969 were each for a 6 NHP S C (i.e. 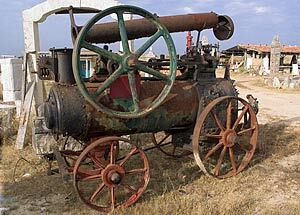 single cylinder) Portable Engine. 8¾" x 12". In this section of the surviving copy order books, engine numbers have not been entered against every order number. From the book, by a process of interpolation, it looks as if 12982 might have been built against order number 7969. However Roger has found the number 7968 stamped on the backhead. The point is not of major consequence as both engines were built to the same specification and despatched within a week of each another. Just above the firedoor are stamped two other numbers, 7903 and 7752, the significance of which is unknown at present. Each of the three other orders were for a 12 NHP D C (i.e. double cylinder - duplex, not compound) Portable Engine. 8¾" x 12". All five were sent to Talcahuano, Chile. The first 6 NHP left the Colchester factory on 23 August and the second on 28th August 1906. The first 12 NHP was despatched on 4th September 1906 and the last two on 4th December that year. No 15033 Brought to our attention in October 2003, the engine is in Finland, its original destination. One of two portables ordered on 13th February 1909 by Konekauppa Osakeyhtio Aatra, the 4 NHP single cylinder engine was originally of 7" bore x 12" stroke. Konekauppa placed a number of other orders with Paxman for portables between 1908 and 1910. No 15033 was sent on 10th August 1909 to "Helsingfors via Hull". (Helsingfors is the Swedish name for Helsinki - Finland did not gain its independence until 1917.) This engine is missing its cylinder. No 15477 A 4 NHP portable with a 7" bore x 12" stroke. Ordered on 28th April 1910 by the Intercolonial Boring Co of Brisbane, Australia, it was despatched from Colchester on 17th October that year. 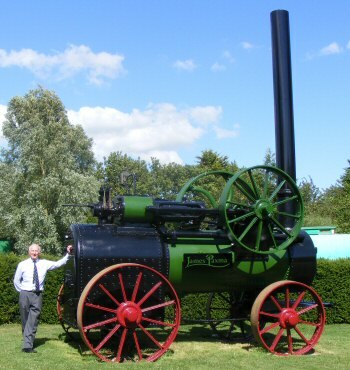 The engine arrived back in the UK from Australia in September 2003 and is with Derek Marder at Andover, Hampshire. Reported to be in remarkable condition, very original and complete, it has a long firebox with girder crownstays running across the top of the box. The boiler is 23" diameter and contains a tube nest with fourteen 2½" diameter tubes. Apart from the main steam pipe to the regulator, which appears to have been modified, and the missing mud doors, all the fittings and motion appear to be in tact. No 15513 This engine, which arrived back in the Colchester area from Chile in late December 2005, is in remarkably good and complete condition. No 15513 is owned by Duncan Pittock who, as at August 2008, had nearly completed its restoration which has included retubing the boiler and making a new smokebox. The engine arrived with two flywheels, both of Paxman manufacture. The intention is to revert to only one flywheel, as fitted originally. Made to Order No 9485, entered on 27th May 1910, No 15513 is a 6 NHP single cylinder portable, 8¾" bore x 12" stroke, built with a colonial firebox. The order was placed by M Gleisner & Co, Paxman's agent in Chile, and the engine was despatched to Talcahuano on 8th November 1910. It was part of an order for ten portables placed by Gleisner on that date, made up of 2 x 4 NHP, 4 x 6 NHP, and 4 x 8 NHP engines. No 15584 One of two 4NHP portables, with a 7" bore x 12" stroke, ordered on 9th July 1910 by the Intercolonial Boring Company of Brisbane, Australia. A few days later, on 12th July, IBC ordered a couple of 5NHP portables, 7¾" bore x 12" stroke. All four engines were despatched from the factory on 9th December that year. No 15584 arrived back in England in the late 1990s and was acquired by Will Dakin of Sandbach, owner of Paxman traction engine No 16849, in May 2001. Parts of the firebox were rather thin but the boiler tubes appeared to be in reasonable condition and the motion was in good working order. 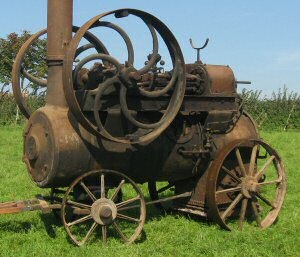 By Autumn 2001 Mr Dakin had run the portable using steam from his traction engine and taken it to one or two steam rallies. Some of the original green paintwork was still visible, with some red on the wheel spokes and flywheel. On removing the cover plate the boiler was found to be full of sand, up to about the third row of tubes. Will wondered if it had ever been flushed out during its working life! 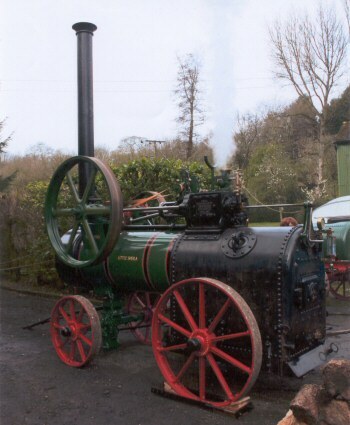 Due to other commitments restoration work did not start in earnest until 2008 when Will decided it would be appropriate to have his portable fully restored and in steam for its 100th birthday in 2010. On closer examination the boiler was found to be in very poor condition. Repairing it was likely to be almost as expensive as having a new boiler. It was therefore decided to make a complete new boiler, of all-riveted construction as originally built. New parts made for the restoration included the boiler barrel, front tube plate, throat plate and backhead, outer wrapper plate, firebox and foundation ring. The nineteen smoke tubes are 2¾" diameter. The engine was steamed in May 2011, up to the full pressure of 120 psi. The rebuild was completed by mid-August 2011 with a steaming on 14th August. Given the name 'Little Sheila', the restored engine's first outing was to the rally of the County of Salop Steam Society, at Onslow Park, during the 2011 August bank holiday weekend, accompanied by Will's Paxman traction engine 'Little Audrey'. An article about the restoration was published in the January 2012 issue of Vintage Spirit . Brian Hill of Somerset, who is restoring his compound Paxman portable No 20776, visited Sandbach on Easter Saturday, 7th April 2012, when Little Sheila was under steam and driving a saw bench. He reported that Will has done a superb job of restoration (as we fully expected he would) and that the engine ran very sweetly. As can be seen in the photograph, the engine has a long 'colonial' firebox. This was initially thought to be for wood burning but David Macloy suggests it may have been designed for burning bagasse or straw. Bagasse, the fibrous residue of sugar cane left after juice extraction, was used to fuel boilers and sugar cane was grown in Queensland, the engine's original destination. It is also relevant to mention that early 20th century Paxman catalogues for large shell boilers featured some specially designed for burning bagasse. No 15715 A 6 NHP portable now on open display in the small town of Monzón, Aragon, Spain. The engine was one of an order for 24 portables (8 x 5 NHP, 16 x 6 NHP) received by Paxman on 16th October 1910 from the Sindicato Nacional Agricola. Although the date of despatch has not been entered in the order book, the plate confirms it was built in 1911. An interesting feature is the Spanish wording on the fire door about the water level and firebox. Paul Adkinson emailed us about this portable which he found while driving through the area in early 2004. 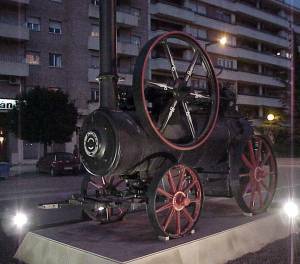 He enquired about its history at Monzón City Hall and was told the engine had been donated to the town by the family of Campo-Gallifa in the 1980s. It was acquired by the Campo family in 1946 and used in the Pyrenees mountains for many years to drive a sawmill and other machinery. Bark and wood offcuts from the mill too small for sale were used for fuel. The engine stood in front of the town's sugar refinery until April 2003 when it was restored and placed in its present more prominent position. No 17501 A 6 NHP single cylinder engine of 8¾" bore x 12" stroke, ordered in February 1912 by Paxman's Italian agent, Taddeo Guisti of Modena. (Taddeo Guisti was a major agricultural machinery dealer in Italy.) It was despatched from Colchester to Antwerp on 3rd May 1912 along with another 6 NHP portable ordered by Taddeo Guisti at the same time. In late December 2016 I received an email from Davide Lorenzone, a steam enthusiast who plans to restore this engine. From the pictures Davide sent me, including the one shown here, the engine looks to be in very good and complete condition. The only part missing is the cover for the manhole in the side of the boiler. The previous owner, whose father bought the engine in the 1970s, made a steel cover for the manhole but Davide would like to find a cover similar to the original. If anyone knows where he may be able to find one, please let me know and I will forward details to Davide. 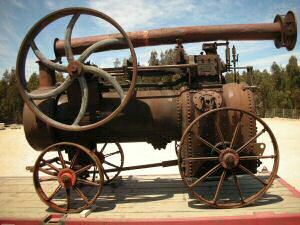 Further information is being sought about the history of the engine before it went into preservation. No 18025 A 20 NHP double cylinder (both cylinders of equal size, i.e. a duplex, not a compound) engine, one of the two largest known surviving Paxman portables. (The other, No 20428, also of 20 NHP, is a compound.) Ordered in December 1912 by Paxman's Portuguese agent, Von Hafe of Oporto, it was despatched from Colchester in April 1913. On arrival at Oporto three teams of six oxen each took three weeks to haul it 70 miles up into the hills where a sawmill was constructed around it. For the next 57 years it drove the sawmill which cut oak for making port barrels, and was fired throughout on the off-cuts and sawdust produced. Mr Philip Paxman, son of Edward Paxman who pioneered the Company's success in the field of diesel engines, and grandson of the Company's founder, purchased the engine in 1974 from the original customer's grandson. When Mr Paxman bought No 18025 it was fired up for him by a man then aged 74. This man had started work on the engine at the age of 13 and he and the engine retired together in 1970. The engine was brought back to Cambridgeshire via Tilbury, with a case of celebratory port stowed in the firebox! 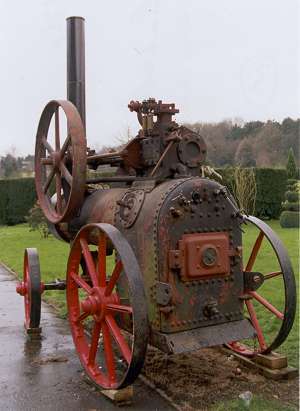 More recently Mr Paxman considered the possibility of putting the engine back into steam. However, in view of the high cost of a full restoration, it was decided instead to stabilise the engine, refitting all moving parts and painting with all-weather naval paints. This work was undertaken by Richard Maskell of H Maskell & Son, Wilstead, Bedford in late 2014/early 2015 and done in such a way that the engine could be restored to working order at some future date. Although both tube plates are in place in the boiler, all the tubes have been removed and there are no fire-bars in the firebox. The original Paxman road wheels have been replaced at some time with wheels from a Marshall. No 18050 A 10 NHP double cylinder (i.e. duplex, not compound) engine, with cylinders of 7¾" bore x 12" stroke. It was one of thirteen portables (Nos 18040 to 18052) of different sizes ordered on 31st December 1912 by M Gleisner & Co for Talcahuano, Chile. Maurice Gleisner, based in Hamburg, was Paxman's agent in Chile. No 18050 was despatched to Talcahuano on 8th July 1913. In the order book the working pressure is entered as 8 ats, perhaps reflecting Gleisner's continental practice rather than the normal British practice of quoting pressures in psi. Photo courtesy of Preston Services, 2008. 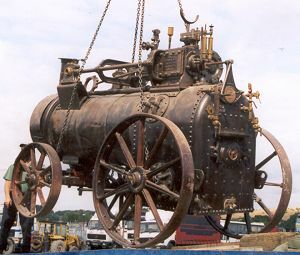 The engine arrived back in the UK at the end of 2004, having been purchased by Michael List Brain of Preston Services. As at June 2015 it was still with him at Preston, near Canterbury, Kent, offered for sale at £10,500. No 20178 Spotted by Jim Beizsley during the summer of 2006 near Sintra, about 10 miles west of Lisbon. In mid-November 2006 it was purchased by Duncan Pittock and is now back in the Colchester area. The portable was one of eight, of varying sizes, ordered on 3rd December 1919 by Souza & Cahda of Lisbon, who were presumably Paxman's agents in Portugal. 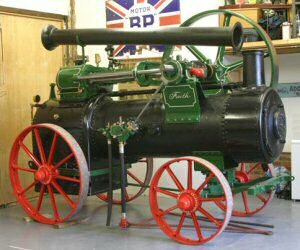 No 20178 is a 3 NHP single cylinder portable of 6½" bore x 12" stroke. No destination or date of despatch is entered in the order book but the maker's plate confirms it was built in 1920. Looking at other entries in this section of the order book it seems likely the engine was sent to Lisbon in the spring of 1920. An interesting feature is the chimney-lifting gear attached to the chimney base. The only other photograph I have seen of a surviving Paxman portable with this device is No 20624 (see below) which was also despatched to Portugal. No 20428 The largest surviving Paxman compound portable of which we are aware. This 20 NHP engine, designed for a working boiler pressure of 140 psi, was the second of two ordered on 13th May 1920 by Chapman Son & Deekes. Both were despatched to Auckland, New Zealand; the first, No 20427, on 23rd September 1921 and No 20428 shortly after on 5th October. 20 NHP appears to be the largest size of portable actually made by Paxman, although the catalogue also offered 25 and 30 NHP types. The December 1913 catalogue specifies the cylinders of the 20 NHP compound as being 9" and 14½" bore x 16" stroke. An interesting feature of No 20428 is the substantial girder frame carrying the motion, visible in the photograph here. No 20428 is now on display at the Kauri Museum, Matakohe, New Zealand. The February/March 2005 issue of NZ Memories carried an interesting article about its history. The engine was used from 1922 to 1927 by the Public Works Department in Tauranga during the construction of the East Coast railway on North Island. From 1927 to 1930 it powered the Public Works Department sawmill at Waikoau. It was then idle until being acquired by George Miles and his sons in 1936 to drive their sawmill at Ashley Clinton, Hawkes Bay. Here it was well looked after and kept in immaculate condition. In 1987 it passed to the New Zealand Forest Service who moved it to Rotorua. The intention to put it on show as part of an historic display was never realised and it was donated by the Forest Service to the Kauri Museum in 1990. 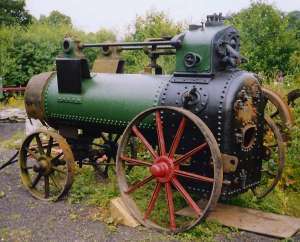 The engine was then in storage for several years until being restored by a group of steam enthusiasts who completed the task in June 1998. No 20428 has been on display in the Museum's sawmill extension since this was opened in November 1998. No 20624 An 8 NHP portable now in the reserve collection of the Deutsches Technikmuseum in Berlin. We don't yet know how it came into the museum's collection. The engine was one of an order for six portables, of different sizes, placed with Paxman on 24th March 1921 by Eduardo Puito de Sousa. The engine was despatched to Lisbon (Portugal) on 29th July that year. From company records we know that at least three of the other portables ordered at the same time were also sent to Lisbon. The engine appears to be in very original order. Like No 20178 it is fitted with chimney-lifting gear which can be seen attached to the front of the chimney base. No 20776 One of only two known surviving Paxman compound portables, this 10 NHP engine was despatched to France on 2nd January 1922. It was one of five portables ordered by Dufayet, a French agent, on 26 November 1921: the others being 5 NHP, 7 NHP and 8NHP single cylinder types and a 12 NHP compound. No 20776 was found in 2008 in a shed where it had stood for 57 years, at Monthyon, a small village about 20 miles north-east of Paris and 5 or 6 miles north of Meaux. It seems most probable that the engine was originally supplied to a customer in this area. When Brian Hill acquired the engine it was thought to have been used originally for driving agricultural machinery, possibly processing sugar beet. Deposits encrusted on the wheels when Brian acquired the engine are now thought to have been plaster of Paris. There is a gypsum mine near Monthyon and there is, therefore, a strong probability that this is where the engine spent most, if not all, of its working life. No 20776 was purchased by Brian Hill in summer 2008 and arrived in Somerset on 19 September 2008. It was pictured on the front cover of the November 2008 issue of Old Glory which carried a five page feature article on the engine and its return to the UK. The cylinders are 6½" and 10½" bore x 14" stroke, and the flywheel is 5' diameter with an 8" face. The pistons are fitted with tail rods which are protected by impressive brass tail rod covers. The covers are drilled with an oil hole on top and a hole underneath for draining condensate and excess oil. On the sides of the very substantial girder frame carrying the motion one can still see the original maroon paint with red pinstriping. The ends of the frame, painted green, are castings, the bottom edges of which are concave, following the curved profile of the top of the boiler. Although the engine has clearly been well-used in the past, it is very complete and has its original Paxman patent automatic expansion gear. When found in France even the leather drive belts to the governor were hanging on their pulleys. Progress on Restoration as at August 2017: Since acquiring the engine in 2008, Brian has been working on a very major and complete restoration. This is being done to a very high standard and in such a way that No 20776 remains as original as possible. Some time ago most of the work required on the motion was completed. Attention then turned to the boiler. A new smoke box was rolled. The walls of the firebox were found to be rather thin and the original 'Z-ring' construction of the firebox base is no longer acceptable to inspectors. It was therefore decided to have a new firebox made, with a substantial foundation ring. The original boiler barrel and front tube-plate were sound. The boiler has been retubed with tubes which, because the right size was unavailable in the UK, had to be sourced from Germany. Following all this work the boiler was pressure tested and passed by the inspector. Back at Brian's workshop work is continuing on re-assembly and painting. Because of other commitments it has taken longer than anticipated to complete the final stages of the restoration. Brian now aims to have the engine back in steam in 2018, in time for the 2018 Great Dorset Steam Fair. Brian is naming his engine 'Bungereye', the marvellous nickname of a former engineman and well-loved character who lived in his village. Bungereye was famed for his legendary ability to manoeuvre a traction engine into and out of tight spaces such as rick yards. His remarkable skills were at their height after the consumption of large quantities of Somerset scrumpy but could desert him when he was sober. No 21693 This 3 NHP portable was ordered from Paxman on 19th February 1925 by the Neuchatel Asphalte Co and despatched from the factory shortly after, on 11th March. Neuchatel was a major road surfacing contractor and appears to have been in business from 1873 up to 1966 when it was absorbed into what is now the Tarmac Group. Between 1923 and 1925 the Company was by far Paxman's biggest customer for portables, ordering no less than 27 engines. They were bought to drive Neuchatel's Nacopax Road Making Plants, also built by Paxman, and were almost the last portables to be made at Colchester. Two portables purchased by Neuchatel, Nos 21509 and 21841, were dispatched to Billericay, near the place No 21693 was working before passing into preservation. One wonders if, during the 1920s, Neuchatel had a depot at Billericay or was working on a major contract in the area. Pictured on the right is the engine at the time of its purchase by Peter Love of East Sussex in January 2003. Peter has undertaken a considerable amount of restoration work on the engine and some details of this can be viewed on a page about No 21693. Unnumbered This 4 NHP engine appeared at the Cheffins Cyril Philip sale at Castle Hedingham, Essex in July 1995 when it looked a very sorry sight. It is believed Mr Philip purchased it in the 1950s from a horticultural nursery in the area where it had been used for soil sterilization. The crankshaft and much of the motion is missing. The engine features a different type of cylinder block from those usually seen on Paxman portables, having a wheel valve regulator on the nearside. It was offered for sale by Michael List Brain of Preston Services, near Wingham, Canterbury, Kent, for a considerable time before being purchased in 2003 by Charlie Dore from near Whitby, North Yorkshire. The tubes are 2.1/8" diameter x 76" long and the tube plate 28" diameter. The firebox is 26" wide x 26.5/8" deep x 29" high, and fitted with girder type crownstays. The cylinder's external length is 17 inches and the rear cylinder cover 11½" in diameter. A boilersmith who looked at it felt the firebox and barrel might be repairable but that the smokebox and tubes were scrap. As both the maker's plate and crankshaft are missing it has not been possible to discover the number of the engine. In June 2006 Martin Stubbins emailed to say Charlie Dore was making good progress on restoration. The boiler had been completely dismantled. A new throatplate and outer sidesheets had been made and fitted. The boiler barrel had been rolled and was awaiting fitting. The front axle and both rear wheels had been refurbished and painted. Martin commented the portable was really beginning to look good. Unnumbered On a roadside near Kidderminster (as at 2015), now in a very poor state, are the remains of a Paxman portable. The motion, flywheel and other parts are missing. Peter Love was told, some years ago, that the Kidderminster portable had been used for soil sterilisation, which explains why the motion and other related parts would have been removed. He says this was quite a common thing to do 50 years ago. Steam sterilisation of soil in market gardens and nurseries was indeed a common practice about that time. Paxman catalogue No 700A of December 1913 says "Our single-cylinder portable engines are now made suitable for a working pressure of 120 lb. per square inch, instead of the usual 100 lb., with a proportionate increase in the power developed". The same catalogue says that the boilers for the Company's compound portables are "suitable for a working pressure of 140 lbs per square inch". Paxman's 'Instruction Book for the Working and Management of Portable Engines', published in 1913, touches only briefly on this subject. The paragraph headed 'Steam Pressure' is mainly about safety valves and how to check they are working properly. It says safety valves are to ensure that the pressure in the boiler shall never exceed "the working pressure indicated on the gauge by a red mark". If an engine still has its original pressure gauge then the red mark will indicate the working pressure for which it was originally designed. However, it is not recommended, and there is no need, for portables in preservation to worked at this pressure as noted below. Someone with considerable experience of operating such engines suggested to me that a working pressure of 80 psi or less should be quite adequate. David Macloy (Australia) says that in his personal experience a helpful boiler inspector will recommend the highest safe working pressure he can so that the pressure can be restricted in the future and still leave enough steam pressure to work the engine. This has been done with a couple of engines David looks after and the safety valves on both have been set at 100 psi. Alex Walford believes Paxman portables were not highly rated. In view of the age of engines in preservation he advises against stressing boilers, particularly as there is no longer any commercial reason for working the engines hard. Regardless of working pressure, boilers should of course be subject to a proper inspection and covered by a valid certificate or 'ticket' before being steamed. A selection of Paxman boiler drawings is currently held by Martin Stubbins (an ex-Paxman man) of Colchester, on behalf of a local steam engine club. Portable boiler drawings range from 2NHP to 10NHP, and include strawburners and colonial types as well as standard designs. Locomotive type boiler drawings are for 3NHP to 10NHP traction engines. All are general arrangements rather than detail drawings but general dimensions are given. Paxman has released the drawings to Martin on the understanding that they are made available for reference, on request. This is subject to appropriate safeguards to protect the drawings and the re-imbursement of costs incurred in responding to requests for information. Martin can be contacted by email - invicta1929@outlook.com - or by telephone on 01206-615646. I am advised that a good supplier of steam spares (such as gauge glasses, gaskets and packing) is Heritage Steam Supplies of Fareham, Hampshire. Website: www.heritagesteamsupplies.co.uk. I am told they are not the cheapest but that the range and quality of their supplies are very good. 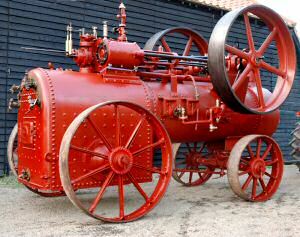 Richard Willcox of the Road Locomotive Society (est 1937) is the respected UK authority on road steam liveries. His opinions on paint liveries used by Davey Paxman are summarised below, as expressed to Peter Love in May 2003. They are based on examinations of Paxman portables in the UK and Australia, as well as the study of four large official photographs in the RLS collection. One should add that various changes to the scheme would undoubtedly have been made during the more than five decades of Paxman portable production. However this is basically how it stayed for many years. Boiler lagging and crankshaft bearing housings: - Pale Chrome Green, very similar to Tekaloid Middle Green. Plain 1/16" white lining on the crankshaft bearing housings. Boiler bands: - black with 1/8" red edging, similar to a Marshall; a fine 1/16" white line approximately one inch on either side of the band, painted on the lagging. Cylinder lagging, trunk guide crankshaft brackets (but not bearing housings), and flywheel: - maroon. Possibly also maroon on the water pump and crankshaft. (However some Pale Chrome Green flywheels have been noted by Peter Love). Rectangular red lines 1/8" with inward 2" radius corners, on cylinder lagging and crankshaft hornplates. Road wheels and forecarriage: - red, with raised lettering on the wheel hubs in white. Spokes lined black with fork at the other end of the spokes. Three designs of transfer or maker's name have been seen. One of these is a large pictorial design (similar to that shown on the Home page) of which no decal is now available. The other two are relatively modest, using only lettering. They are easy to replicate but the correct background colour of each remains unknown. On both designs the lettering appears to be white, with shadowing to the right and below in a dark colour, possibly black. Can You Help with Further Information? As will be seen from the above, the website has attracted a steady stream of new information about Paxman portables which we have been pleased to receive and make available here. Every contribution adds another piece to the jigsaw and helps us compile a fuller history of these engines for future generations. If you know of a Paxman portable not mentioned here, or can provide more information about any that are mentioned, please do contact me with the details. For details and photographs use the relevant link below.